My blog on many subjects. From my ideas about fiction, to news of upcoming releases and events in my calendar, this is my current major voice to the world. A maiden created to be as pure as crystal; a former soldier lost in regret; an assassin torn between past and present; a man unhinged by dark tragedy; the self-proclaimed Empress of Sin. These five tales interweave to reveal the truth. Previously released in three volumes, Crystal and Sin: Complete Edition brings together the entire saga of Crystal, her friends, and their shadowy nemeses. 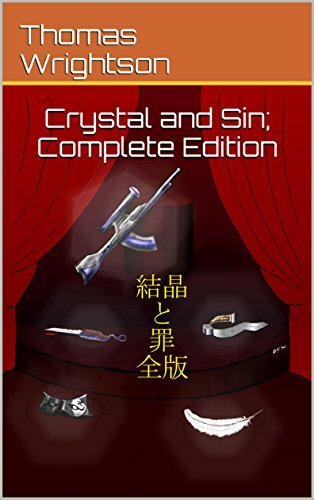 Originally $5.99 (£5.99) exclusively through Amazon, Crystal and Sin: Complete Edition will be free from April 16 to April 20. The pre-order for The Leviathan Chronicle will go live shortly, but if you'd like to see samples ahead of time, the first two chapters can be found here (1) and here (2). The Leviathan Chronicle; Genesis will be releasing on May 3, 2018. The second and concluding volume will release later this year. UPDATE: DUE TO THE DATE HAVING PASSED, THIS BLOG POST's INFORMATION ON THE SALE IS REDUNDANT.